Last year we started a tradition of hosting Pysanky classes just before Easter. 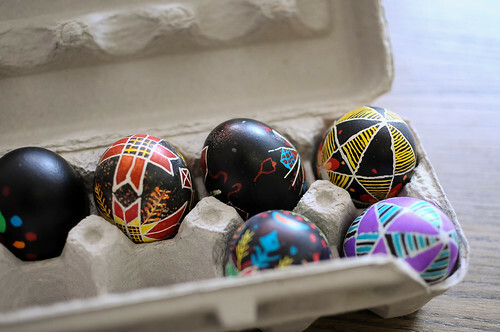 Pysanky is the beautiful art of traditional Ukrainian egg decorating. Fittingly, we held our first class of the year on the first day of Spring. 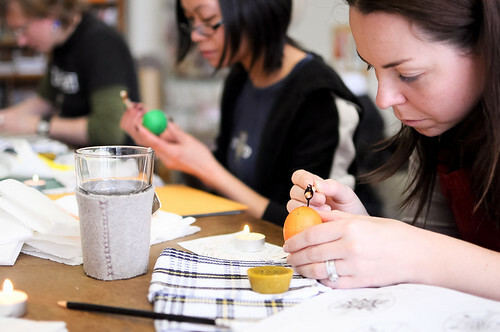 Our instructor, Andrei Gravelle, got us inspired with the historical background and imagery of pysanky eggs. The detail that can be achieved is truly incredible. 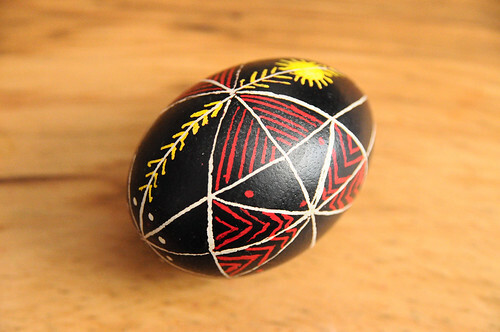 Pysanky is created by drawing with melted beeswax on the surface of the egg with a tool called a kistka. 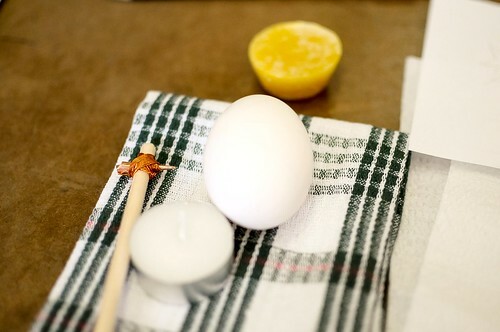 The egg is dipped in a colour bath (starting with the lightest colour) and the beeswax acts as a resist. More beeswax detailing is added after each colour bath, until you end with the darkest colour, often black. The layering of colour like this is fascinating to me and after doing my first egg I now have a much better understanding of the effects you can achieve. I love how the final layer of black creates such a bold finish to the designs. I feel extremely lucky to have the opportunity to learn this craft and to create my own yearly pysanky tradition. I feel so strongly that these crafts need to be shared as much as possible. I especially love that this a such a great group/family craft that everyone can sit together and enjoy creating something really unique no matter what age you are. Those are beautiful. I wish there was a class where I live! OMG…are there classes this year? 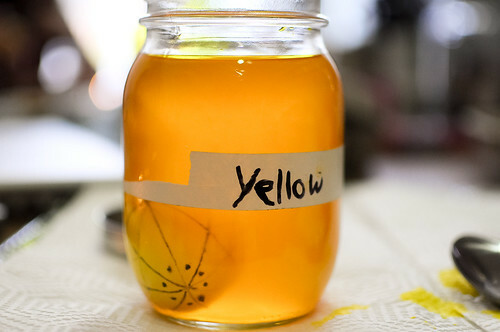 i have been ‘dyeing’ to try this! where do these classes take place?